Albert Pujols is generally well respected and loved by fans and baseball players. He is not known for being overtly controversial or disrupting in the clubhouse and there are many St. Louis Cardinals fans who still speak well of him. For those who face off against him, however, he is a terrifying competitor and something to be feared when it comes to opposing pitchers. 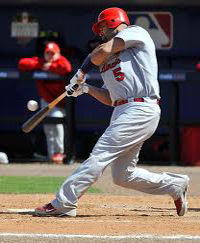 Pujols has 475 home runs and it seems inevitable that he will eventually join the 500-home run club. He has an overall batting average of .325. He also has 2,227 hits and 497 doubles. He has 1,425 RBI and an on-base percentage of 1.025. Those are impressive numbers, and Pujols struggled a bit throughout 2012. However, the slugger did manage to eventually rack up some more impressive numbers and allow the Anaheim Angels to make another run at the postseason. 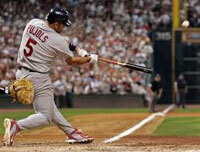 However,the endeavors to chase another World Series title have ended for Pujols this season. That does not mean, however, that he will be sitting back. No, Albert Pujols has an even bigger target and bigger goal in mind when he sits down with his family during the off-season: Down Syndrome. Down Syndrome affects thousands of children and families on a yearly basis. It is a chromosomal disorder and is the most common chromosomal abnormality in human beings. While some forms of the syndrome are very mild, sometimes it can create severe and debilitating problems for some children and families. To try and help the research and treatment of people with Down Syndrome, and to help them find and lead active and normal lives, Albert Pujols and his family formed the Pujols Family Foundation. While the foundation has a wide platform based mostly Albert’s Christian faith, the primary goal is to provide for the needs of families of those dealing with Down Syndrome. The main purpose is to sponsor and create activities and events for children with that syndrome and other life-threatening illnesses. The charity won the 2008 Roberto Clemente Award. The award was created to honor the legendary baseball player who died young and tragically in a plane crash. The award recognizes those who perform exceptionally on the baseball field, but are also active in their communities and various charities. The Pujols Family Foundation is involved in a number of events that try to enrich the lives of children and families dealing with Down Syndrome, with many of the events taking place in St. Louis, where Albert gained his most fame while playing for the Cardinals organization. For example, the foundation sponsors an annual event called the “Autumn Prom” where dancing is the main focus, and a good time is had by all, while also raising awareness and money for families struggling with Down Syndrome and other illnesses. The Pujols Foundation works closely with Ronald McDonald charities to assist critically ill children and their families. It also sponsors and runs a number of sports activities, such as a basketball shootout, to raise money. Finally, the organization is rather renowned in St. Louis for its cooking classes and donations of food. Not only does the organization work within the United States, but also Pujols’ home country of the Dominican Republic.